Buying and selling property is exciting but can be stressful. Whilst this information is by no means exhaustive, we hope it gives you an overview of the process and some peace of mind. In general terms, whether you are buying or selling, there are two stages to any land transaction. So we have called the two stages ‘Before Exchange of Contracts’ and ‘After Exchange of Contracts to Completion’. English Law requires property transactions to be written. This is commonly called the ‘Contract’ or ‘Agreement’ and is where the buyer and seller will agree certain facts and promises to each other. Once it is exchanged and sent to the other party signed you will be legally bound to continue with the transaction. 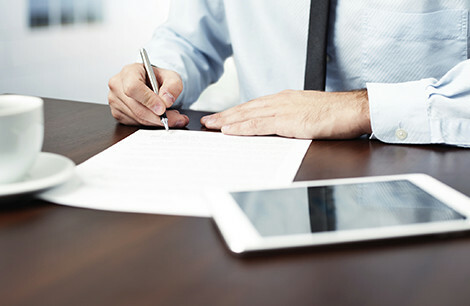 Therefore, it is essential that the following important elements are confirmed in writing, organised or investigated appropriately before contracts are exchanged. If a buyer, also called a ‘purchaser’, has secured finance from a lender such as a bank or building society, formal instructions from the institution are required. Sometimes conditions are imposed and these may prove difficult to comply with. Occasionally the lender will instruct its own lawyers. In that case you must be warned that those lawyers will charge their own fees over and above our fees and you will be responsible for them. Any buyer should satisfy themselves that they are sufficiently knowledgeable about the property they intend to purchase. There are standard enquiries raised about the property and these are provided by the seller. However, this does not stop any buyer raising further enquiries over and above these standard enquiries, provided they are raised before exchange. Afterwards a buyer is committed to the purchase and any further questions need not be answered. You must therefore ensure you are satisfied with all answers and investigations before exchange. Searches with the local authority and other institutions are carried out and paid for by the buyer. There are a variety of searches and the results should reveal any potential planning and environmental issues, and matters regarding drainage and water. The environmental search will reveal information about subsidence. Subsidence from soil shrinkage accounts for over 75% of subsidence claims in the UK. It can present considerable risks to property affecting the people living there and businesses trading from it. If your search reveals subsidence you should seek specialist advice and please note this firm cannot provide advice on any issues arising from subsidence. If you decline to take our advice and do not carry out the necessary searches we will ask you to sign a search disclaimer. This means you will be responsible for any future problems and this company cannot be held liable. Please note if you are purchasing, you will be asked to pay on account £280.00 at the outset to cover a variety of search fees and other expenses. If you are selling you will be asked for £50.00. As a buyer you should have a Building Survey carried out on the property you intend to purchase as soon as possible and certainly before contracts are exchanged. We suggest you do not rely upon the mortgage valuation carried out by your lender as the caveat emptor rule, i.e. ‘buyer beware’, places the onus on the buyer to discover any physical faults. For this reason, a building survey is always advisable in order for you to discover physical defects which are not readily apparent on inspection of the property. In addition, your building survey should provide you with early warnings of potential structural problems or major repair work which will be required in the foreseeable future, confirm if the property equates with the price agreed to be paid and confirm boundaries amongst other important matters. Please note a building survey will only reveal the true state and condition of a property if the surveyor is correctly instructed to investigate all aspects of the property. if the property is near features that may cause subsidence or flooding e.g. Even if you are not obtaining a mortgage we still urge you to instruct a building surveyor to examine the property. Please note that we are not surveyors and therefore cannot advise in any matters concerning the state or condition of the property you intend to buy. If you are reluctant to obtain a building survey you can obtain a ‘Homebuyer report’. This is a compromise between the mortgage valuation and the building survey. You can probably liaise with your lender for an additional fee to instruct the lender’s valuer to undertake the report at the same time as the mortgage Valuation. This type of survey will hopefully provide adequate information if you are purchasing an ordinary suburban residential property built within the last 100 years. You must be aware this report is not an absolute guarantee of the state and condition of the property. Whilst it has been the case that insurance companies have been government backed this may change in the near future. As such it is very important that a Flood Risk Assessment is carried out on the property that you intend to buy. This will give you more information as to whether the property is liable to flooding and could have an impact on your ability to obtain buildings insurance at a reasonable rate in the future. Normally 10% of the purchase price is required to be paid by the buyer before exchange. We will need the deposit as cleared funds in readiness for exchange. 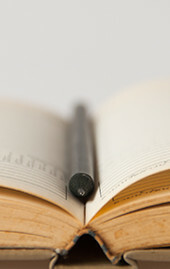 If you are purchasing you must insure the property from exchange of contracts and provide us with a copy of the policy. A lender will not release funds to us without evidence of insurance being in place. When all these aspects and other outstanding matters are ready then the purchaser can proceed to “Exchange of Contracts”. This means that the purchaser’s lawyers and seller’s lawyers swap contracts. After exchange the parties are legally bound and either party wishing to get out of the transaction will incur sizeable costs. For example, after due notice a purchaser’s deposit can be forfeited. It is therefore essential you understand the importance of this step and authorise us to exchange. At the time of exchange of contracts we will arrange a moving date which is called “Completion”. 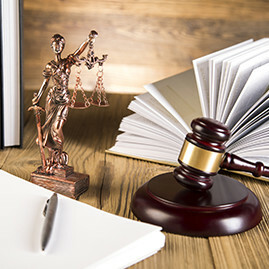 Upon completion the buyer’s lawyer will move the purchase money over from their client bank account to the seller’s lawyer’s client bank account. This is done electronically through the bank system and you will be charged an administration fee for this purpose as shown on our estimate. There is usually a pause of some ten to twenty-eight days, or whatever time period is agreed, between exchange of contracts and the move. This is done to enable your money to be released, effect different Land Registry searches and to deal with the transfer, which is the important document confirming the change of ownership. Various documents will be sent to you for signature in anticipation. We will check that the ownership or title of the property is correct when registration has taken place. Nowadays nearly every transaction is recorded or registered in Regional Registries, which incurs a fee too as shown on our estimate in this brochure. We hope this is informative for you. Aspects of the process can often appear onerous especially because purchasing property is not a common occurrence for most people. The relevant legislation and regulation is designed to protect not only you but the economy and society in general. With our highly trained and qualified staff we are here to help you every step of the way and above all else to protect your interests. As always if you have any queries please do not hesitate to ask and we will be happy to assist. On average a transaction takes approximately 8-13 weeks to complete but please note this varies incredibly because there are so many factors to take into account, to name but a few how many are in the chain, are there problems with the title that need investigating or in deed rectifying, is the property leasehold and the lease is defective. We do understand it is a stressful time and we will complete your matter as soon as possible but please remember a lot of the time we cannot control the pace of other solicitors or indeed what matters they have to deal with.